Have you always wanted to be part of a physical Book-Club but not had the time or capacity to get to one? Would you like to be part of a book club that takes place in the comfort of your own home? 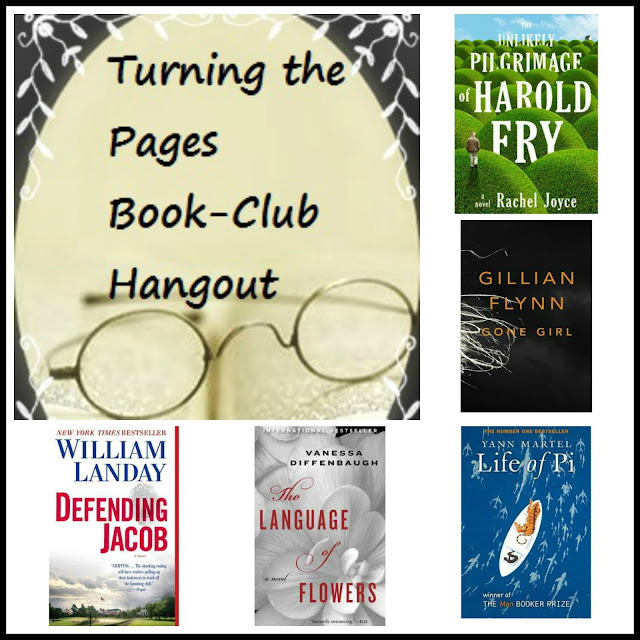 I would like to invite you to the first "Turning the Pages" Hangout. Well, it is going to blow your socks off. It is going to be our first, live, Video Chat Book-Club discussion that's what it is! To take part you will need to have a Google Profile, and have placed your vote on the book that you would love to read in a group setting below. It will be a 1 hour meet and greet hangout. You will discover which book won the vote and meet one another. As it is a private Hangout, there is only space for 10 participants. Thank-you for taping! I definitely plan to watch! I'm sure your lucky TEN will be lining up soon! If no one shows up and there is a spot left AND I can come - I would be happy to CRASH! the party! What a wonderful idea! please let me know when the video is available! I am constantly juggling around my sons needs for rides to work and back, so I never know when I will need to jump up and go. I'd love to be there for the discussion but don't want to take a spot if I'm not sure I'll be there. I will certainly watch the video and take part in the club, however. I voted - I'm not going to tell you for which book, though.